Los Castillos Abalone and Mixed Metal Crab Bowl with Two Side Dishes. 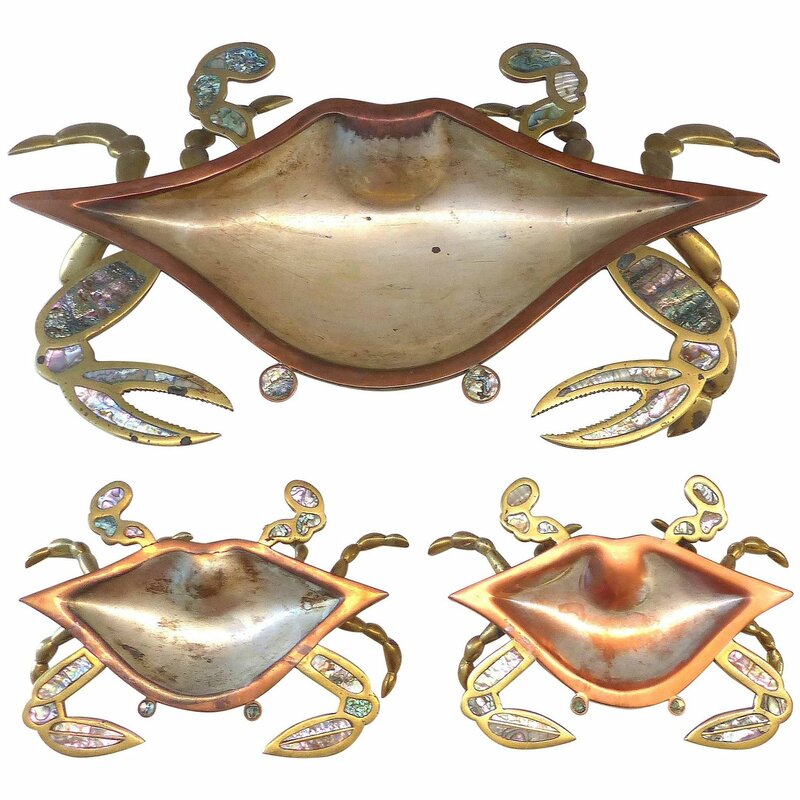 Rare three piece set of Los Castillos copper and brass crab serving pieces inset with abalone. 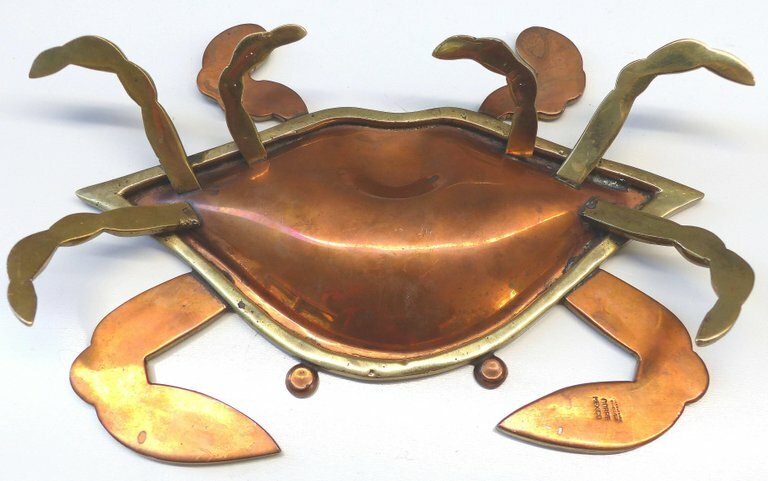 There are two smaller crabs and one very large and rare crab. 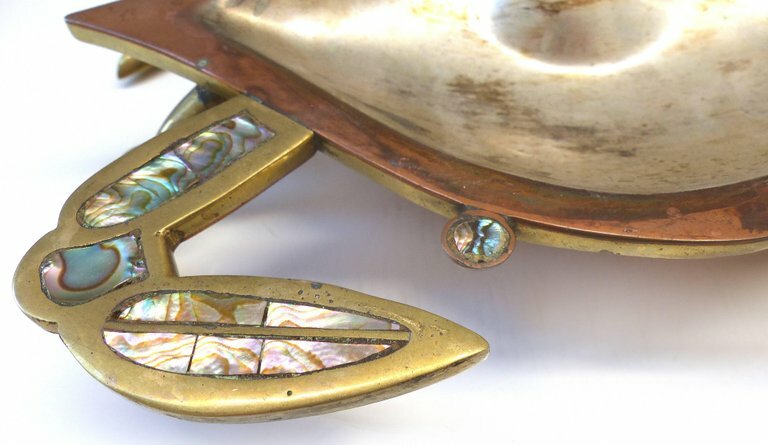 They show some normal wear to the silver plating with an appropriate patina. 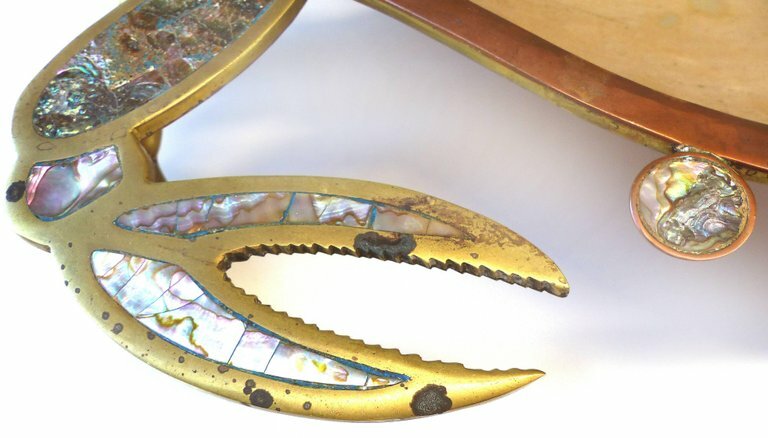 Each piece is fully marked on the back; the smaller crabs on the claws and the larger on the rim. Larger, 23" W x 12" D x 3" H; Smaller, 10" W x 6.5" D x 1.5" H.
Condition: Vintage wear with some tarnish as shown, wear to silver plating.